Tell your visual stories in style. Schedule your Instagram posts on Zoho Social. 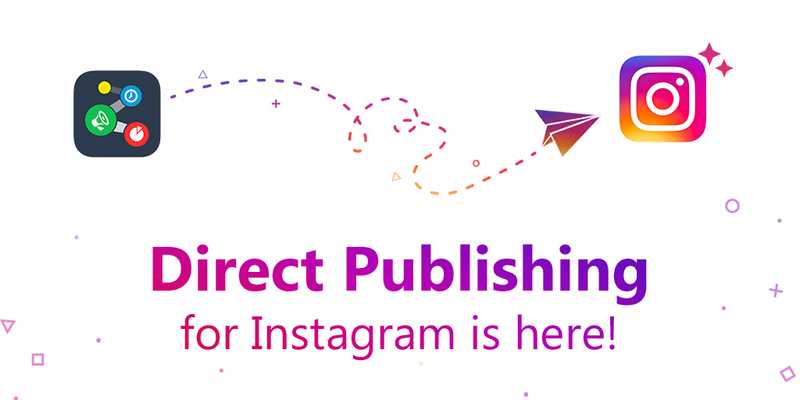 Update: Instagram Direct Publishing is now available on Zoho Social! 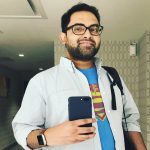 If you’ve already switched to a Business Profile, you can directly publish or schedule posts to Instagram from Zoho Social, without using the Instagram app on your phone. If you haven’t made the switch to a Business Profile, you may do so now or continue to use the workaround we built for you, to publish to your Personal Profiles. Three months ago, we released support for Instagram on Zoho Social and received a wonderful response from our customers, as well as the community. (We even got featured on Product Hunt). Can you have something like Hootsuite to schedule posts through Zoho Social for Instagram? Hello .. Good evening. Is there a possibility to making the schedule without opening the instagram and paste the message? It would be great if we did not need to open the instagram to do this, but the post appears automatically. Is this on your roadmap? Hey there do you have a post explaining how to do this? I x’d out of the first screen so I don’t believe I can set it up properly. Just looking for a blog post with the walk through to refer to. Thanks! Sure! There’s a detailed guide for it under our Resources section. Also, a list of FAQs. Eat. Sleep. Repost. Repeat — Discover and share interesting content on Instagram with Zoho Social! One of the best attributes of social media is the ability to share different kinds of content with your audience. The trick lies in knowing where to find good content that showcases that diversity. 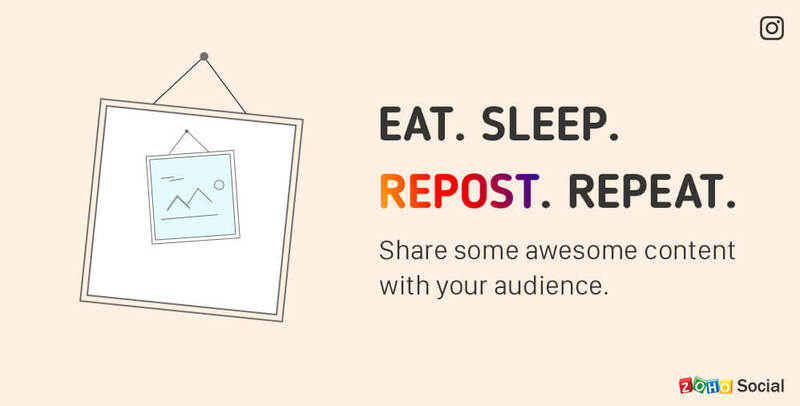 Today, I'm excited to introduce Repost for Instagram on Zoho Social!